To celebrate a major birthday — say, 50 or older — many hosts serve cake and display photos of the celebrant: baby photos, first steps, awkward adolescence, coming of age and major landmarks of adulthood. For St. Louis’ 250th birthday celebration, John Neal Hoover has done just that. At the Mercantile Library’s new exhibition, Hoover hung several century-old photos, older paintings and drawings, but mostly he tells the city history in maps. The show at the Mercantile Library has so many elements, some are on the floor. The library and its museum galleries also celebrate with one of the 250 birthday cakes. Hoover is the executive director of the Mercantile Library, which was founded in 1846 and is the oldest secular, cultural institution in the region. He has served the library for 30 years and helped it move from its own building downtown to a wing of the Jefferson Library on the University of Missouri-St. Louis campus 14 years ago. The oldest map in the exhibition was made in 1655: the newest a NASA photo taken from a space satellite Dec. 13, 2013. Some maps are works of art, including a reprint of Johann Baptist Homman’s 1760 map, which shows North America from the Atlantic to the Great Plains. Many have beautiful borders and title plates. Even the few crude maps — such one of the St. Louis stockyards — can fascinate. Widely distributed maps from AAA Club, railroad advertising brochures and Rand McNally track transportation many of us can only imagine. The exhibit runs through June 30 seven days a week. Monday through Thursday from 7:30 a.m. until 10:30 p.m.; Friday from 7:30 a.m. until 5 p.m., Saturdays from 8 a.m. until 4 p.m. and Sundays from noon until 8 p.m. Free docent tours are on Saturdays at 11 a.m. and Sundays at 2 p.m. Early maps show how map makers excelled at drawing Mississippi River Valley geographic details that they had never seen or measured. They listened carefully and credited observant French explorers: Father Jacques Marquette; Louis Joliet; Rene-Robert Cavelier, Sieur de La Salle; Father Louis Hennepin, and Pierre Francois Xavier de Charlevoix. Delusionary shapes of the Great Lakes on early maps bring smiles of understanding. Maps, decades older that St. Louis, show the confluence of the Missouri and Mississippi rivers and confluences of the Meramec, Cahokia and Kaskaskia rivers with the Mississippi. They display scores of smaller streams that modern maps have forgotten, as many are curtailed underground in pipes. These pre-1764 maps show how irresistible this location was for settlement, as it had been for the people of the Cahokia Mounds, Hoover said. He shows three rues (streets) parallel to the Mississippi and Joseph Talion’s windmill west of the city, surrounded by extensive planted farm fields. On the east side of the Mississippi, Dufossat marks the village of Caos (Cahokia), which he describes as a French village in the English Domain. Two additional villages, one on each bank of the Mississippi River, are described as occupied by the Peoria Nation of Native Americans. 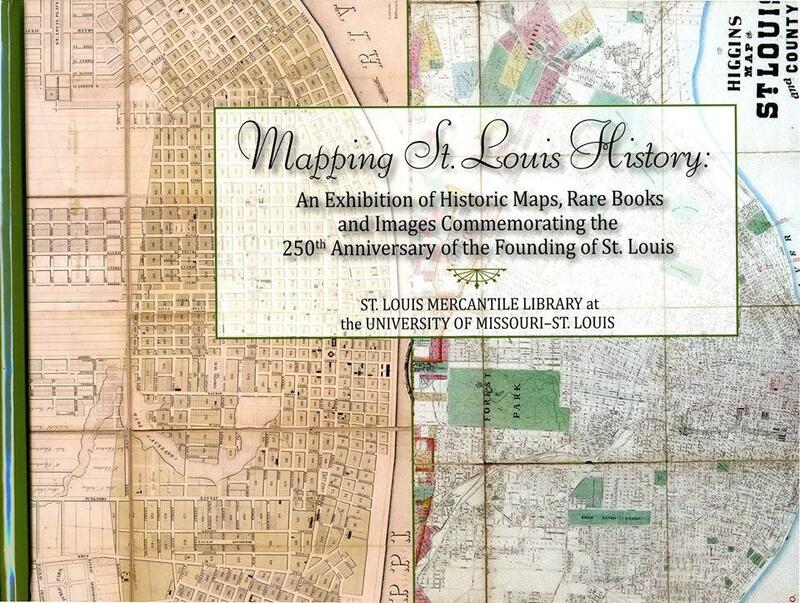 By the 1780s, St. Louis was marked on an international map of the continent that can be seen in the library’s show. Many early maps, such as Dufossat’s, demarcate where various Indians nations were settled or roamed for hunting grounds. A 1871 “Strangers Guide” aimed to help tourists with illustrated landmarks. 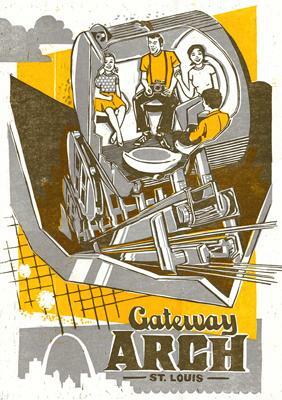 Maps of clearing the riverfront for the Gateway Arch show some dreams never fulfilled. Various maps show ferry landings, railroad lines, horses’ water troughs, wards and other political alignments. Some maps of Missouri and surrounding states are shown before statehood, before borders were set. A few geological maps show hills, swamps and sinks that we seem to overlook as modern roads keep us above them on viaducts and filled land. Hoover displays mining company maps, real estate developers’ plats, suburban town maps and ward maps. An 1861 map of the concentration of slave population county by county across Missouri takes one’s breath away. The road names in many maps help visitors find their present day homes and other landmarks. One of the earliest road maps highlights just long routes from the Mississippi levee, what is now St. Charles Rock Road, a road from Ste. Genevieve and Carondelet and in Illinois, the road to Edwardsville. On our two visits to the exhibition, the display drawing the most attention was a compellation of 110-plates (pages) from Camille Compton and Richard Dry’s 1875 Album of St. Louis. The library hung it, page by page, as one huge, wall map showing, St. Louis from the levee to just a line west that is about midway through what is now Forest Park. Almost no other U.S. city has such detailed maps from that era. Compton, Dry and their helpers took balloon rides over the city so they could draw the shapes of buildings, even details like porches, outbuildings and fences. Google maps are derivatives. Compton and Dry show curves and switchbacks of roads that may have been straightened over the past 139 years. Roads and landmarks are named. Lafayette Park is in the upper left portion of this plate from Compton and Dry. On her visit, one woman found the site of her grandparents’ house across from what is now Saint Louis University. While the house where her 1970s wedding reception was held had not yet been built, then an outbuilding on the property that her family used was on the map. Another visitor searched in vain for her great-grandmother’s house, then realized the location was the site of an open farm field in 1875. Many 20th century maps helped others find their own street and their own familiar places. To help visitors examine all the Compton and Dry map — some are hung 10 foot from the floor — the library provides a computer. It allows visitors to see digital images of the album plates. It is easy to zoom in to see details with more magnification than the wall images. Visitors are invited to map their own life journeys. Interested guests will be offered three colored stickers to apply on large contemporary regional map. They may mark where they were born with a blue dot, where they went to high school with a yellow dot, and where they now live with a green dot. A westward movement is apparent. Many older maps use art images in their borders or open spaces: bison, bears and bird, historical figures and many Native Americans. In addition, Hoover punctuated the map collection with drawings, paintings and photographs. 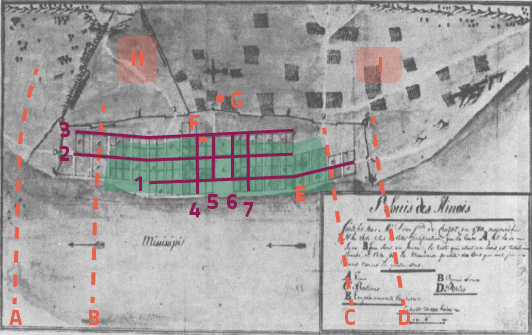 Drawings include Kaskaskia and Shwandoes (cq) braves, an early French St. Louis Creole house, shaded on four sides with a porch, and a flat-bottom boat. Early daguerreotypes show the city from the riverfront, the steamboats docked on the levee, and floods. Hoover aimed to display 250 maps for the birthday year. He found room by placing a few not-so-rare reproductions on the floor under Plexiglas. Ron Tyler, director emeritus of the Amon Carter Museum in Fort Worth smiled widely when he saw the show at a recent dinner honoring Hoovers’ 30 years at the library. “I put up a lot of shows where I had more things than I had wall space for but I never thought to do what John has done, put some on the floor,” Tyler said. This show is a gift for map lovers, road explorers, historians or train buffs. Bring a magnifying glass if you want to enjoy great detail. This weekend the St. Louis Mercantile Library at the University of Missouri-St. Louis is hosting its 8th Annual Fine Print, Rare Book & Paper Arts Fair. Vendors and dealers will be set up in the J.C. Penney Building Saturday May 3 and Sunday, May 4, with a benefit preview this evening. It’s a top national security facility in St. Louis that’s flown under the radar for years. 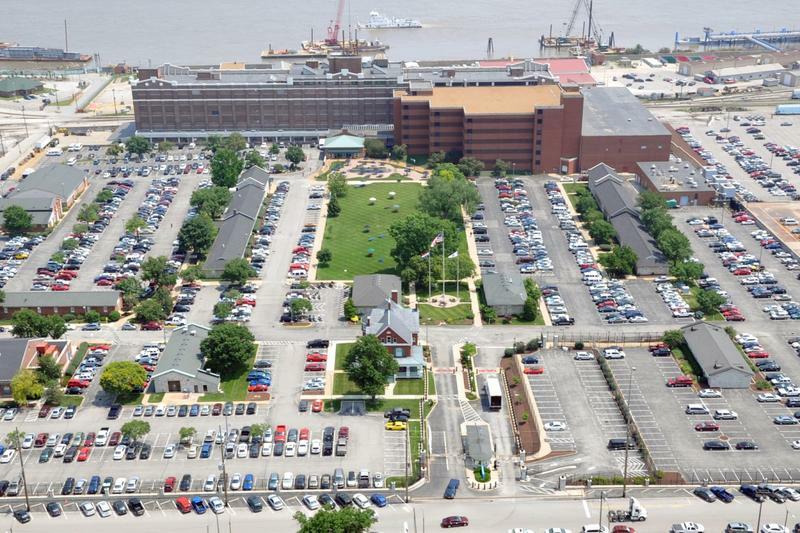 The National Geospatial-Intelligence Agency is hidden in plain sight on more than 20 acres that lie between the Anheuser-Busch Brewery and the Mississippi River. 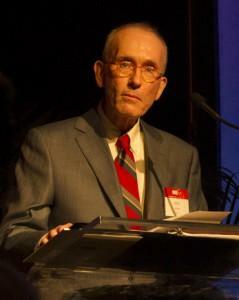 There are roughly 2,500 NGA employees there, working on highly secretive projects. The maps, charts and strategic intelligence they provide are used by the president, national policy makers and military leaders.